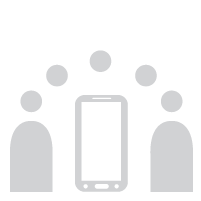 "Expand reach, increase consumer engagement, and boost monetization." 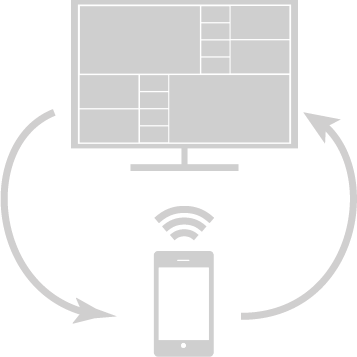 "Transform video discovery and second screen interactions with innovative SmartTV solutions." "Automatically bring your videos from Youtube, Vimeo, Dailymotion, etc. to your channel on Videogram.com. Increase overall views of your video. Incrementally monetize with new Ad Units. Take your Videogram Channel to any website. Or get a complete White Label destination site for all your videos." If you are looking to boost Click Thru Rate into your video, get more engagement, extend the social reach, you can use Videogram for Free with No Ads. We Revenue Share or charge on a Pay-Per-Use basis only when you are using Videogram Ad Units or using Videogram as an Ad. 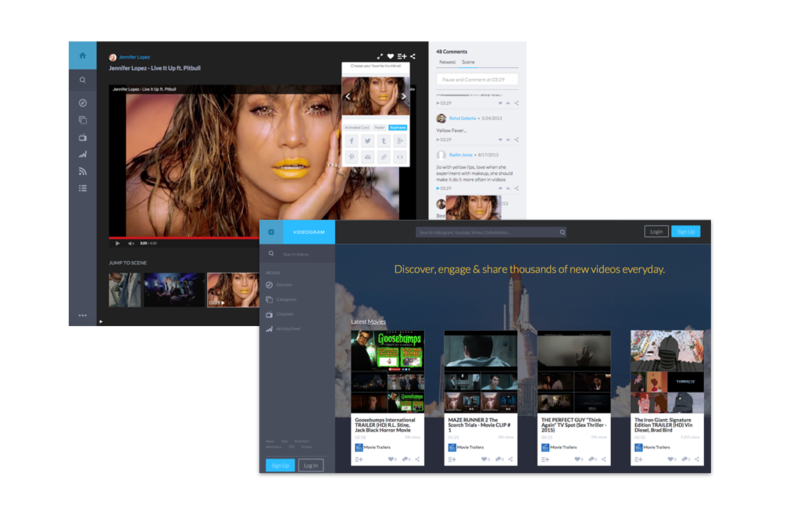 An intuitive dashboard for creating and optimizing online video experiences. JUST WANT A BETTER USER EXPERIENCE, BUT NOT INTERESTED IN MONETIZATION? Use Videogram for FREE with no ads. We want users to experience your videos in a whole new way where they can watch, comment, and share what they love most about your video. LOOKING TO MAKE ADDITIONAL MONEY OUT OF YOUR VIDEOS ? Use Videogram in our Revenue Share mode. We will serve ads contextually to your video and share the revenue with you. HAVE YOUR OWN ADVERTISERS, SPONSORS, or CAMPAIGNS AND WANT TO BOOST REVENUE? Use Videogram in our PAID Pay-Per-Use mode. We will turn over all the Videogram Native Ad Units such as Interactive Display Ads, Pre-rolls, and Mid-rolls to you to better leverage your monetization strategy. Also, you can make your commercial videos into Videogram and serve into Ad Networks for better CTR and broader reach while saving money on your campaigns. Easiness: No more hassle picking the video thumbnail. One click or one iFrame embed code to use. Engagement: Built–in social capabilities and up to 2.5X longer engagement time. 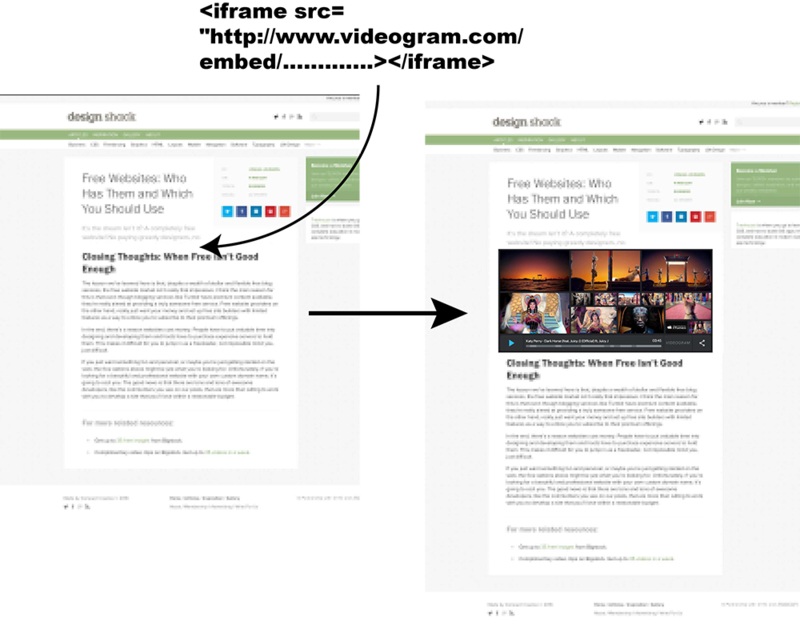 Discovery: Increase the CTR of your videos often by 2x. Social Reach: Empower consumers to share and comment on the clips and scenes that they like best. Increase virality and drive more traffic and eyeballs back to your video. Metrics: Know exactly what in the video is interesting and to whom. Access critical visual metrics that you can use to iterate on future video content. Monetization: Non–obtrusive, contextually relevant interactive display ads, pre-rolls, and mid-rolls. Flexibility: Any asset can be may be placed in either Free, Ad-supported RevShare, or Paid mode. Free to sign up and no monthly charges. Increase CPMs with dynamic, contextual ad units and smart-roll video ads. We share the revenue – you experience audience growth and increased engagement. Advertising sourced from existing ad networks, or from Cinemacraft advertisers. Powerful, next–generation video authoring tools, analytics dashboard, and built–in social tools. Affordable videogram creation fees and CPM–based usage rates. Immediately capture viewers and convert those views into engagement and interaction. Empowers consumers to share and comment on the clips and sub–clips that they like best. Increase virality and drive more traffic and eyeballs back to your video publishing site. Access critical visual metrics that you can use to iterate on future video content. Complete control over the creation, management, and publishing of your Videograms. Perform A / B testing and monitor a huge variety of user statistics including views, plays, CTR, "snack rate", replay rate, view time, engagement time, popular frames, geographic breakdown, and more. Change the look and feel, set permissions and sharing, modify keyframes, and insert ads. 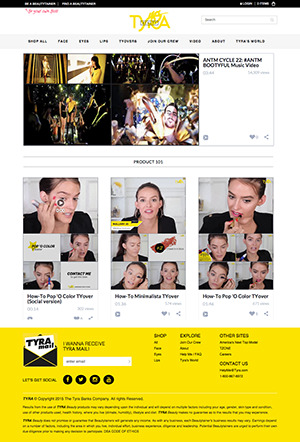 Any keyframe in the Videogram summary can be strategically replaced with a highly configurable, rich media ad unit that links to a video ad or an embedded e–commerce page. Pre-rolls and mid-rolls can be set on an individual keyframe basis for contextually relevant display. Videogram can also be configured to automatically place ads in front of trending clips that visitors are already highly motivated to watch. Videogram ads are designed to be a seamless part of the consumer experience rather than an interruption in that experience. Consumers are encouraged to explore and share both content and ads. 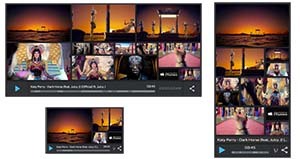 Videogram can be embedded into websites, mobile apps, and Ad Networks. Videogram summaries and related ad units can be embedded into social media feeds – including Facebook and Twitter. Users can comment on and share clips from any point in the video stream. Videogram knows what parts of the video are receiving the most engagement – down to the frame level. HTML5–based with Responsive Design supporting the smallest smartphone to the largest smart TV. Videogram automatically regenerates the summary based on user engagement. Any Promotional Video can be made into a Videogram and served into Ad Networks. It can be a fixed size Videogram Card containing an 8 second animated GIF. The Videogram Card delivers benefits of the Videogram and of Autoplay without Autoplay's detriments of speed and size. Or it can be just the 8 second animated GIF. The benefits are that your Promotional Video will often see a doubling of the Click Thru Rate and can now be served into places where Promotional Video traditionally cannot be served because of ad unit sizes. Create new Display, Pre-roll, and Mid-Roll Ad Units out of existing Content Video. Copying and pasting the Videogram Embed Tag to a publisher's website content management system means that those videos suddenly have new Ad Units for interactive display ads, pre-rolls, and mid-rolls under the control of the Advertising Agency. This approach allows the Advertising Agency to revenue share to the Publisher. Advertisers, Agencies, and Publishers all win. Publishers with lots of video can have a Videogram Channel Embed Tag and have an entire video section added to their website and/or on Videogram.com complete with playlists. Just like with individual Videograms, new Ad Units for the Advertising Agency allow for more media inventory and traffic purchase from publishers. Videogram integrates with Chromecast to enable your SmartTV & mobile device to join forces for the most social & interactive TV experience ever. Videogram makes Electronic Programming Guides VISUAL and SOCIAL It gives a much more engaging format to your users and allows you to more cheaply, quickly, and effectively add context to navigation of content. Videogram.com is a Multi Platform Network destination site. Videogram.com works on any device and is also available as an App. It has Channels, Categories, and allows publishers to showcase all their video content in one place without needing to re-upload. Fast, easy, automatic. It increases views for your video, strengthens your existing community, extends your audience base, captures more traffic, and brings you new revenue. Have your own Video community in a Videogram format. We provide our entire platform for your publishers to use.